Shifting bad consumer & business debts from banks to the public, but the way this bank bailout got packaged is pretty nifty. Turkish President Recep Tayyip Erdoğan has launched a raft of measures ostensibly designed to reanimate the economy, including offering direct financial support for people with credit-card debt. 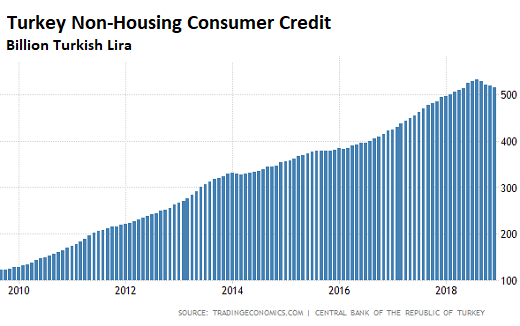 The plan will enable Turkey’s maxed-out consumers to go to the biggest state-run lender, Ziraat Bank, and apply for debt rescheduling at low rates of interest. “Any retail client from any bank can apply,” Erdogan said. It seems these politicians always use the same playbook.